and the word “sheep” 192 times. with the relationship of a shepherd to his sheep. When Jesus wanted to express his dedication to us and his daily protection of us, he chose to use the picture of a shepherd with his sheep. People of that day were very familiar with shepherds. The audience Jesus was talking to gained a lot of understanding from this illustration. For example, they understood the total dedication of a shepherd. So when Jesus spoke about being the good shepherd in John chapter ten, the audience understood that a good shepherd had to always be on duty. They knew a lot about Good Shepherds. * Good shepherds protect their sheep from danger and provide healing for their sicknesses and wounds. 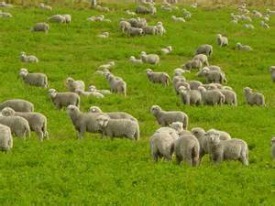 * Good shepherds are faithful leaders who guide their sheep toward green pastures where their flock can eat abundantly. * Good shepherds lead their flock to pure still waters where they can drink peacefully. * Good shepherds are watchful and always go and find those sheep who wander off. They knew a lot about Sheep. Those listening to Jesus also knew a lot more about sheep than the average Christian does today. 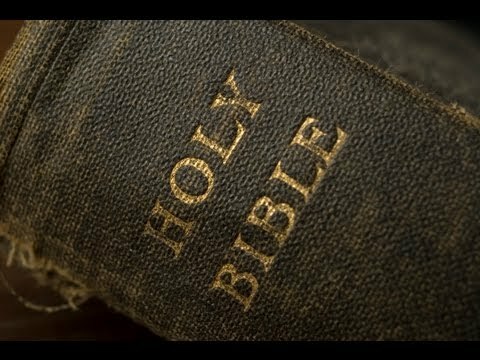 So I’m going to give you some information about sheep, that people living in Bible days knew. Sheep are perhaps the least intelligent of all the animals. You never see a sheep doing tricks in a circus! Sheep have no natural sense of direction. Sheep have no idea which way to go in life. They cannot care for themselves on their own. They cannot find their own food, and they cannot tell the difference between clean water and polluted or toxic water. Sheep are weak animals. They cannot walk very far in a day. They easily get weary. 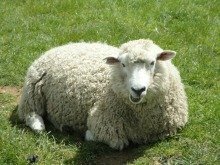 Sheep have no defensive moves for times when a predator tries to attack them. Sheep are not very agile. They can easily trip and get turned over on their back and be unable to get up. for understanding a shepherd and his sheep. Mr. Keller was a devoted Christian, and he was a shepherd for many years. He has left us with many great books. Viper holes were common in the Bible lands. Sheep would often put their nose right into a viper’s hole. Obviously that was not a great idea. The people of Jesus’ day were able to understand so much from just picturing Jesus the good shepherd taking care of his sheep. Today we can take the information I just gave and see similarities in our own lives. For example, the last thing I mentioned was sheep putting their nose in a viper hole. We are like sheep and often put our nose where it doesn’t belong! I encourage you to be open to the Holy Spirit to gain more information Jesus the Good Shepherd. to help make this teaching more helpful, personal, and relevant. Sheep are fearful, insecure animals. They are afraid of many things - even running water will scare them. That is why Psalm 23 reminds us that a good shepherd will take the sheep beside the still waters. Most of the people who listened to Jesus knew that sheep only drink from still water because sheep are afraid of noises. you can imagine the panic they feel during a thunderstorm. The only thing that calms a sheep down is hearing the voice of the shepherd. A loving shepherd will talk and sing and play instruments so that the sheep can hear that their shepherd is near. the voice of Jesus the Good Shepherd. fear, restlessness, anxiety, tension, self-pity, or hardheartedness. we experience the peace that Jesus came to give us. to hear our loving shepherd. We have to choose to do that.